Apple developers make some useful tools for OS X that extend the usefulness of Yosemite, the latest version of Apple’s OS. We’re listing 18 essential Mac apps for Yosemite, including utilities, video apps, photo apps and productivity apps. Try them out and we’re sure you’ll want to download and install these awesome Mac apps for Yosemite to get things done faster, easier or cheaper than you would otherwise using built-in tools or well-known programs. 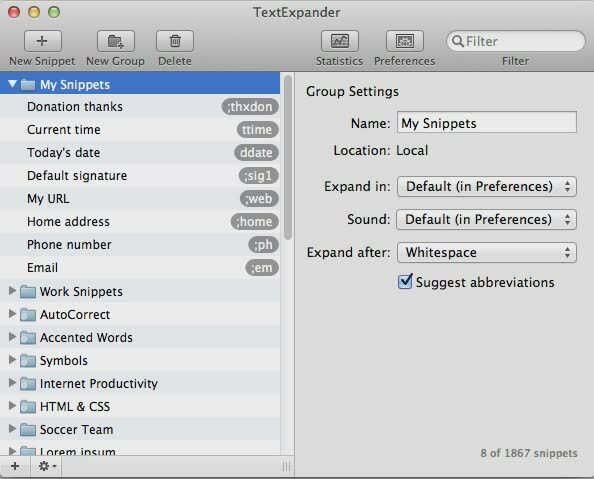 TextExpander beefs up keyboard shortcuts in OS X Yosemite. OS X includes some simple keystroke shortcuts that let uses enter text quickly, but TextExpander ($34.95) gives us that feature and much more. Create a snippet of text to type. For example, use adr and tell TextExpander to automatically turn adr into a home address. It saves time with powerful shortcuts. 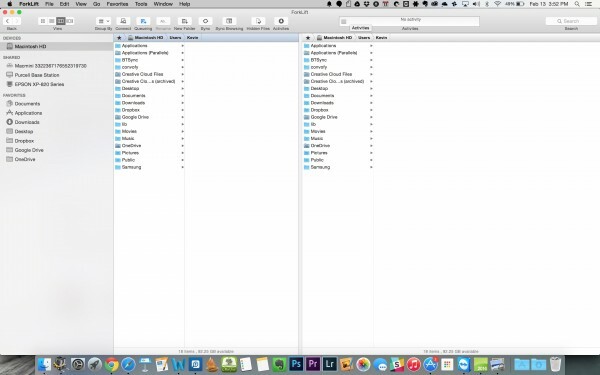 Check out the video below that shows some of the really powerful ways users can harness TextExpander making it one of the best Mac apps for Yosemite. Adapter (Free) impressed us as one of the best file conversion utilities. It’s a drag-and-drop utility that converts audio, video and image files from one format to another. For example, drag a PNG file to the open app window and it will convert it to JPG or some other format. Use the drop down box at the bottom of the window to choose the resulting file format. Most people think that people only use BitTorrent (Free) to share pirated movies or music, but it’s actually a great tool for transferring any content. BitTorrent Sync will make it easy to get the power of BitTorrent on your side. The app makes sharing large files, like a big video file edited by a group of people or a really large zip file of photos, easy. Criminals can use it, but honest people shouldn’t fear BitTorrent. Why use BitTorrent Sync instead of Dropbox? There’s no central server that stores the files. People will rest assured they don’t need to worry about hackers going after Dropbox or one of the other cloud services. It’s potentially safer and more anonymous. 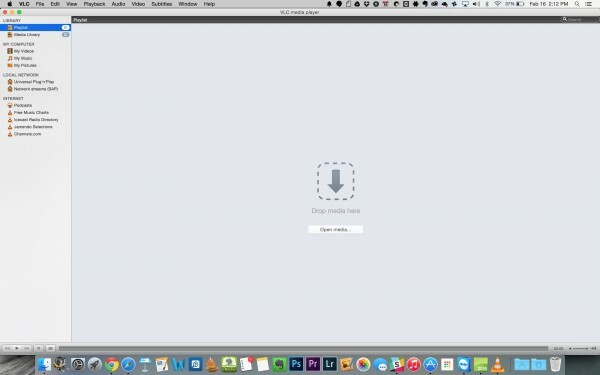 The FilePane pop up lets users work with their files by dragging them onto the pop up. 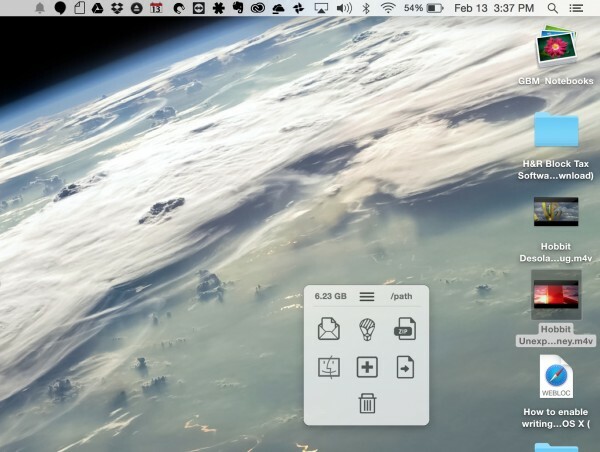 FilePane ($6.99) makes it easy to handle files through a drag-and-drop interface. This makes it one of our awesome Mac apps for Yosemite because it starts up with OS X and runs in the background waiting for the user to select and then drag a file. The FilePane window pops up with icons that represent various things the utility can do with those files. Drag it on the Finder icon to move the file or the trashcan icon to delete it. Finder does what many of us need it to do, letting us find and manage files. However, it could do so much more so. Forklift ($19.99) jumps in where Finder stops, adding better file management to a Mac. Forklift does file management better than Finder. 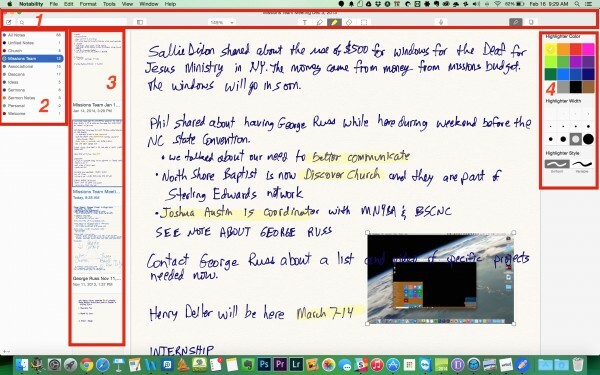 Microsoft makes OneNote for Mac, but it doesn’t look like other native Mac apps for Yosemite. 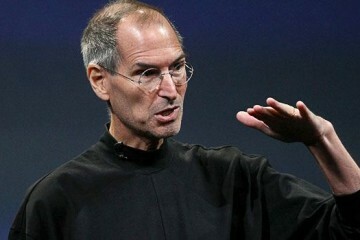 So some Apple purists would rather not use it, but they share notebooks with Office users. Outline ($6.99) offers a great note taking tool that syncs between computer and iPad and opens and saves OneNote notebooks. It also syncs with OneDrive. 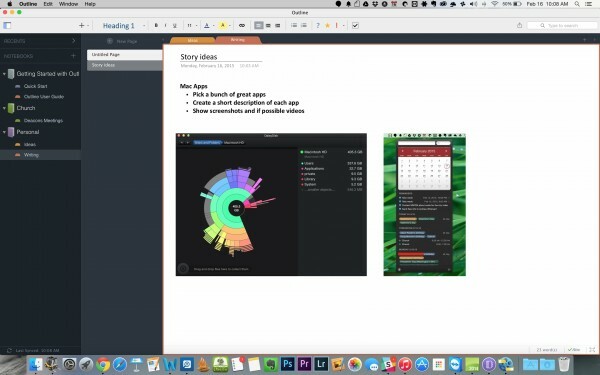 Use the Outline notebook format syncs and sync with Dropbox or Box. Use OneDrive when syncing OneNote notebooks. 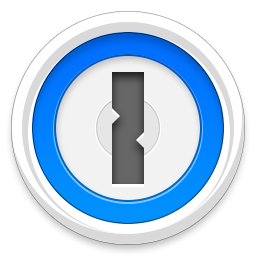 Lots of apps and services give users remote management features, including Apple’s built-in Back to My Mac solution, but TeamViewer (Free for personal use) does it better and lets users work cross-platform. Let’s say someone wants to upload a file from their home computer running Windows to their Dropbox account so they can access it on their Mac while on vacation. The person forgot to save the file in their Dropbox folder. Log into the home computer via TeamViewer and copy the file over. To do this the person will need to install software on both computers. There’s also a version for iPhone, iPad, and Android. 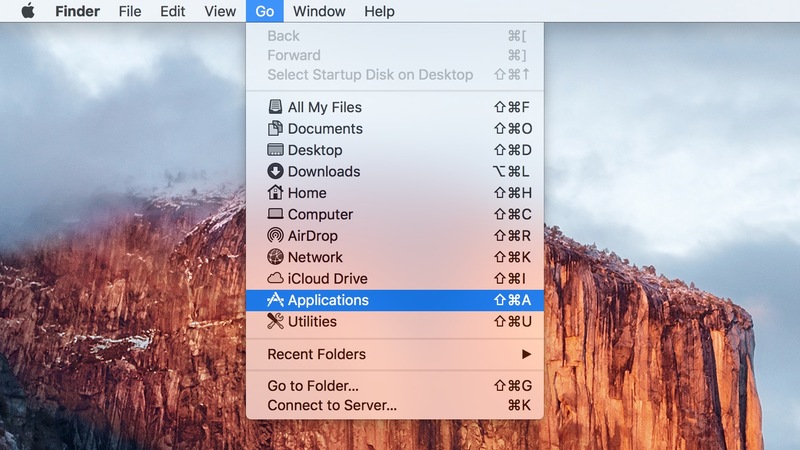 Window Magnet brings Windows style window snapping to OS X. Windows snaps program windows by dragging the window to the sides, top or bottom of the screen. 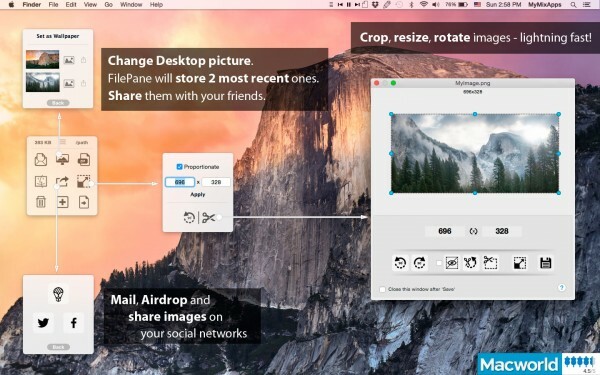 To get this feature on a Mac use one of our favorite Mac apps for Yosemite, Window Magnet ($4.99). 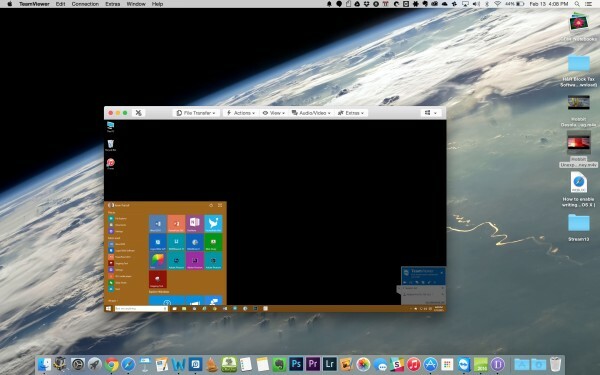 The app brings to Mac the cool Windows feature. Drag the title bar of an app to the top of the screen and it fills the entire screen. Drag it to the right or left and it snaps into place on that half of the screen. Use keyboard shortcuts to move windows to each area of the screen plus the four quadrants of the screen. See what’s cluttering up a Mac hard drive using DaisyDisk. When a Mac hard drive starts to get full it can slow down the computer and keep users from installing apps or downloading files. 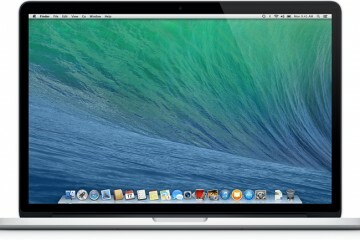 There’s no easy way to find out what’s hogging the hard drive space in OS X. Use DaisyDisk ($9.99) to scan the drive and show the contents visually. When a user finds a folder of content to move or delete, they can drag them to the icon in the lower left corner to “collect” them. Then right-click the icon to get rid of them. Click on colored pie piece and it will expand and fill the screen with a new pie showing the file and folder sizes. Click in the center again to go back to the containing folder. See the video below for a demo of how it works. The best calendar app on the Mac is Fantastical ($9.99). Like other Mac apps for Yosemite, it runs in the background and a menu bar icon shows the calendar when the user clicks on it (see above). To add an appointment type into the box in the top of the drop down box. Use natural language to enter appointments. For example, type “Meet with Donna at 2 pm next Thursday at Chipotle.” This will start to add the pertinent details to the appointment. The drop down also shows upcoming appointments, a month view and reminders from the Reminders app in OS X.
iA Writer ($9.99 or $19.99 for iA Writer Pro) offers a distraction free writing environment and adds markdown formatting. That means that writers can quickly add things like bold, italics and more without taking their hands off the keyboard. A # creates a heading, an * adds italics to text, and ** adds bold formatting. People who don’t like markdown can add formatting using the program’s menu. Put the app into full-screen distraction-free to get rid of all visual distractions, like menus, the OS X Dock or anything else. The user only sees the text and the background. In the iA Writer Pro version users can also write in a dark background and white text. 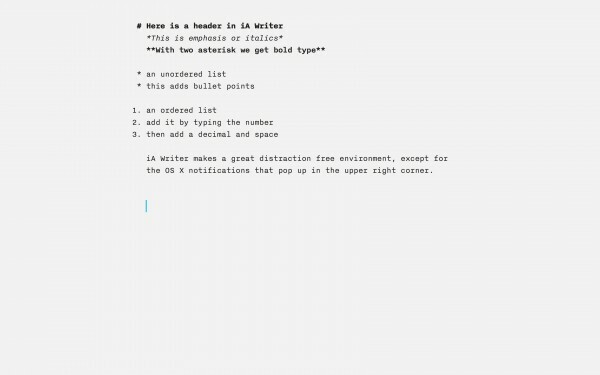 Put iA Writer in full-screen mode using the green dot in the upper left corner. 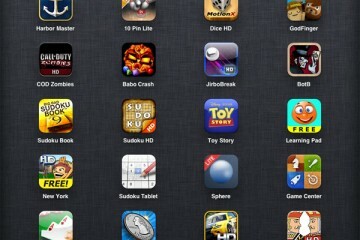 The developers created an iPad version that syncs via iCloud. There’s also an Android version in beta testing. It only syncs using iCloud. Notability ($6.99) now runs on OS X, bringing the great iPad app to the computer. Use it to type notes in class, a meeting or any other time. 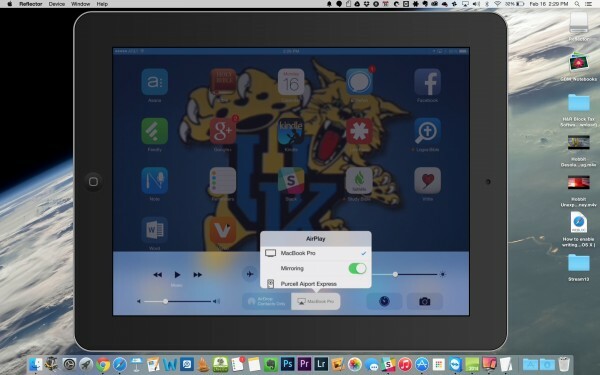 Users can sync notes between Mac and iPad over iCloud. 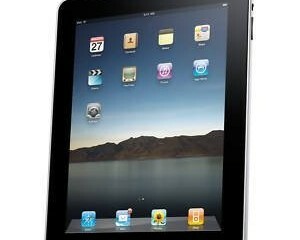 They can edit them or create on a computer and sync them back to the iPad. Here’s a list of the key features of Notability, besides typing and writing text on the page. See the image above. The numbers below correspond with the numbered areas of the app in the screenshot above. Toolbar – insert text, select fonts, and pick a pen, eraser or highlighter. Notability also includes the ability to insert pictures and audio notes recorded within the program. If people want to strip DRM from their iTunes movies, NoteBurner M4V Converter Plus ($44.95) will do the job quickly and easily. 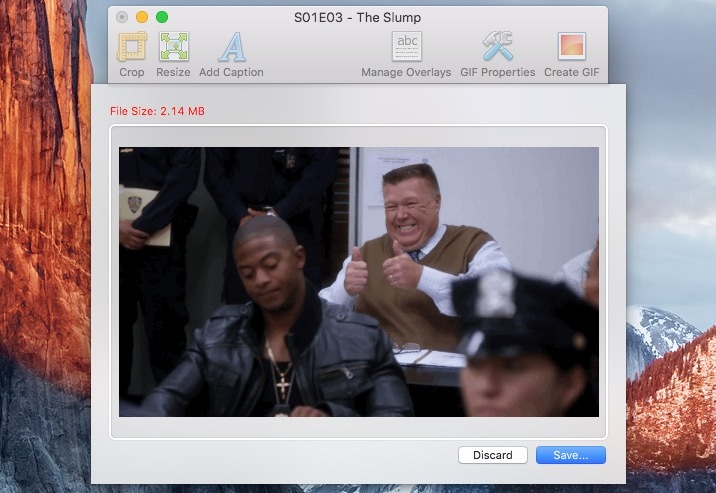 The program grabs videos from iTunes removes the DRM so the user can watch the videos on non-Apple devices, or in programs like VLC Media Player (see below), also featured in this round-up of Mac apps for Yosemite. People who want Photoshop quality photo editing on a Microsoft Paint budget should look at Pixelmator ($29.99). 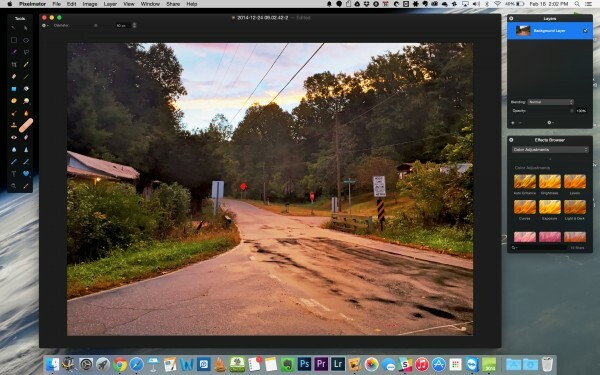 It offers layer-based editing plus all the basic photo editing tools most of us will ever need. It handles text and layout for creating posters or fliers. Filters quickly add interesting looks to images. 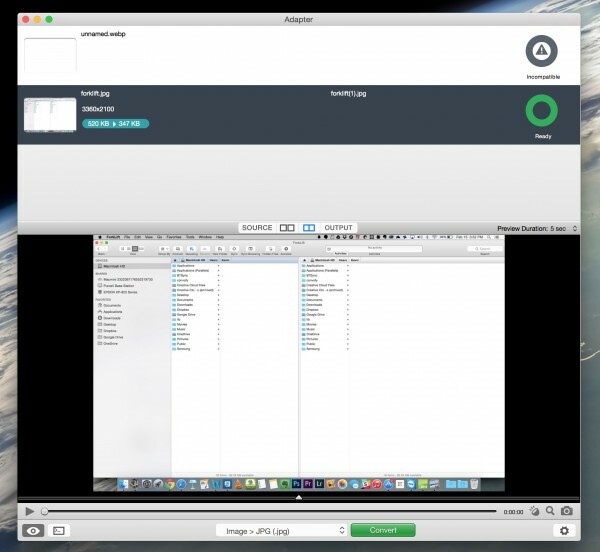 The program interfaces with other apps using OS X Yosemite’s sharing feature. The Yosemite and iOS Handoff feature lets a user open a photo in the OS X version and then it will automatically open on the iOS version on an iPad. VLC Media Play works better than QuickTime because it doesn’t come with any of the restriction. It plays any file format you throw at it. 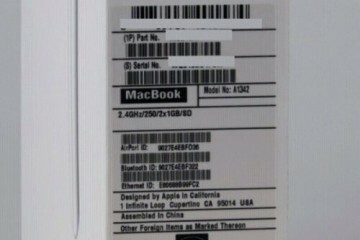 It also will capture from the Mac’s FaceTime camera. With some help from third-party codecs it can handle DVD playback as well. The program offers to install the third-party codecs when running the program’s installer. Reflector turns any OS X computer into an AirPlay receiver. 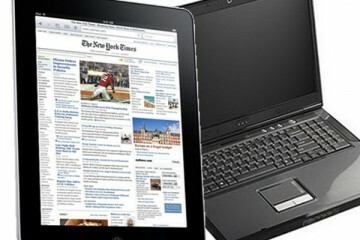 The iPad or iPhone can share the screen to any Apple TV using Apple’s AirPlay technology. Reflector ($12.99 for 1 computer) turns a Mac or PC into an AirPlay receiver. Why would someone want to share their iPad or iPhone screen on a Mac? Maybe a user wants to demo an app in a tutorial video or for a class using a computer hooked up to a projector or TV. Reflector makes that happen as quickly as hooking up to an Apple TV. The app also lets a user take screenshots. They don’t need to transfer the screen shot from the iPad to the computer since it’s already on the computer. 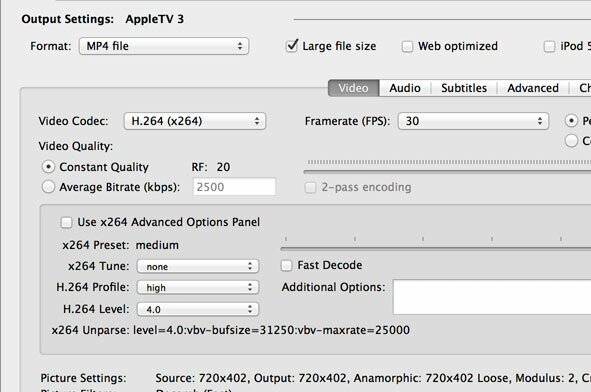 NoteBurner strips DRM from iTunes movies. Handbrake (Free) does the same for DVDs. Load up a DVD into a USB drive on your MacBook Pro or MacBook Air and the program will read the DVD, let the user open it and convert it to multiple formats or sizes for viewing on an iPad, an Android phone or on a computer, to name a few formats it handles. 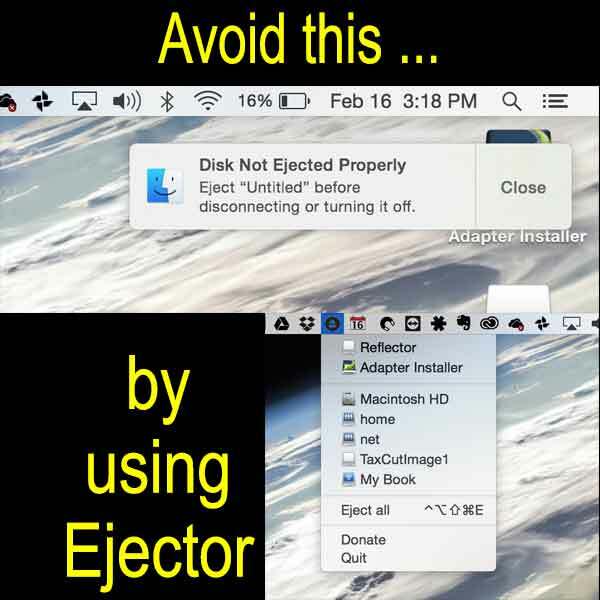 Use Ejector to quickly eject one or all removable disks in Yosemite. 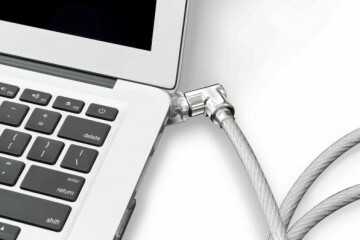 People who connect a MacBook to a docking station or Apple Thunderbolt Display with one or more external disks connected via USB, Firewire or Thunderbolt, can use a tiny app like Ejector (Free) to quickly remove the drives with two clicks (the icon bar and the menu item) or one keystroke (COMMAND+OPTION+CONTROL+SHIFT+E). This keeps the user from ejecting a USB drive without doing it the OS X way. Unplugging a drive before telling the OS to reject the drive can result in corrupted files, since OS X may be writing a file to the disk at the moment the user pulled out the drive before ejecting it in OS X. Window Magnet doesn’t appear to support Yosemite, although this article is specifically about Yosemite. The link the Window Magnet on the App Store leads to an app last updated in 2013 that only claims support up to Mavericks. It also is not $0.99 anymore, it is $4.99 and doesn’t even start on Yosemite.